Η Chevrolet έδωσε τις πρώτες λεπτομέρειες του πρωτότυπου Colorado το οποίο θα παρουσιαστεί στην έκθεση της Μπανγκόκ στις 25 του Μάρτη. Σχεδιασμένο να μας δείχνει πως θα μοιάζει η επόμενη γενιά του pick-up η οποία θα παρουσιαστεί στην Ταϊλάνδη μέσα στο έτος, διαθέτει χρωμιομένα διακοσμητικά, LED φώτα ημέρας με την γρίλια του να είναι εμπνευσμένη από το Equinox. Το πρωτότυπο φορά ζάντες 20″ με ελαστικά εκτός δρόμου της Cooper Zeon. Το εσωτερικό του είναι πλούσιο με δερμάτινα καθίσματα, ξύλινες επενδύσεις, χρωμιομένα διακοσμητικά, διζωνικό κλιματισμό, multimedia σύστημα με οθόνη αφής 7″, με τον πίνακα οργάνων να είναι εμπνευσμένος από μοτοσυκλέτα. 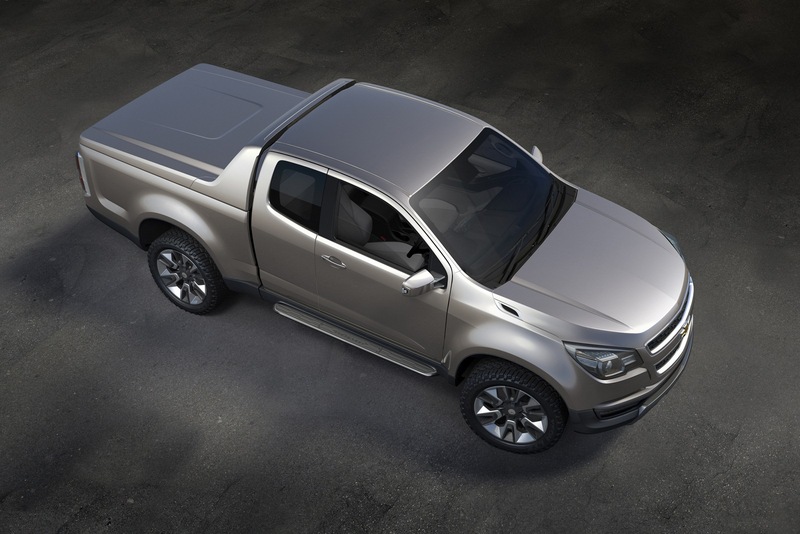 BANGKOK, Thailand – Chevrolet today revealed the Colorado show truck in advance of the Bangkok International Auto Show, where it is making its global public debut. 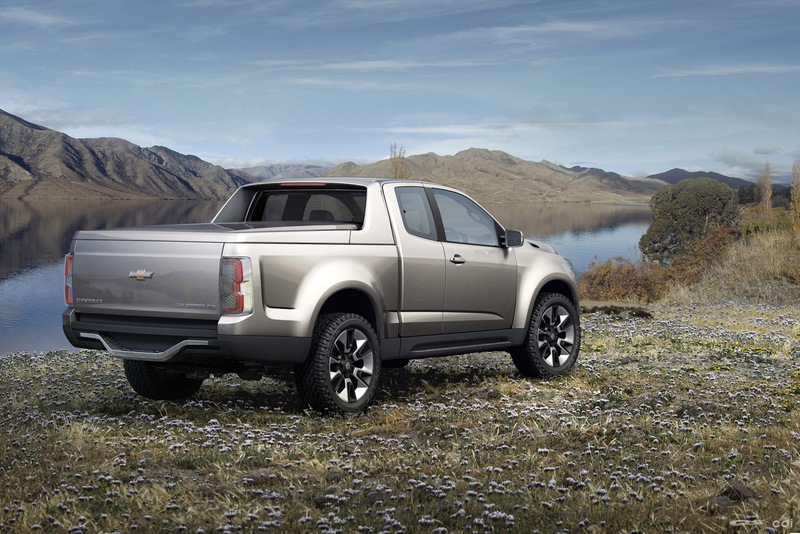 The concept previews the next-generation Colorado midsize pickup truck, which will build on Chevrolet’s strong truck DNA and award-winning heritage. 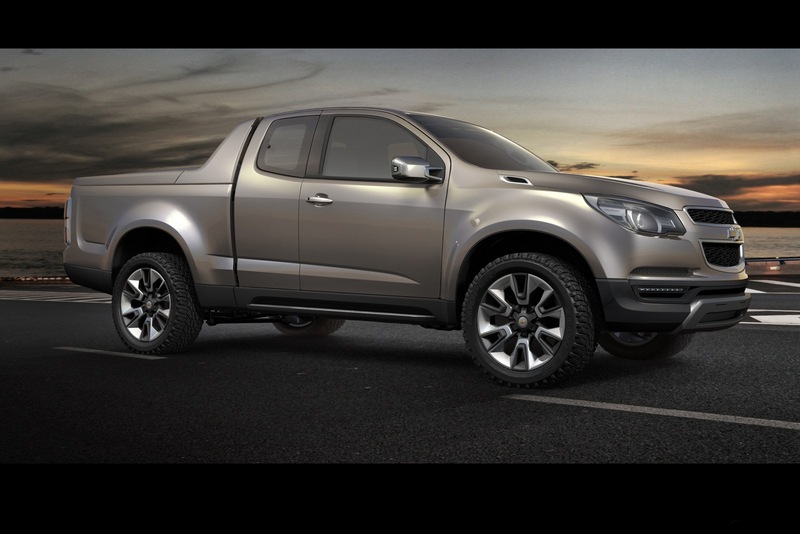 The Colorado goes on sale in Thailand later this year and could be launched in other markets as of 2012. 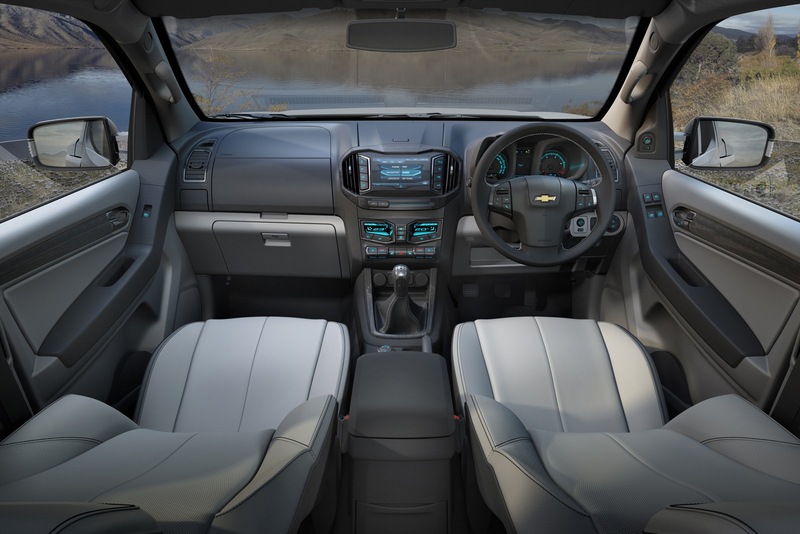 “Trucks have been part of Chevrolet’s core for nearly all of its 100-year history,” said Wayne Brannon, President and Managing Director of Chevrolet Europe. 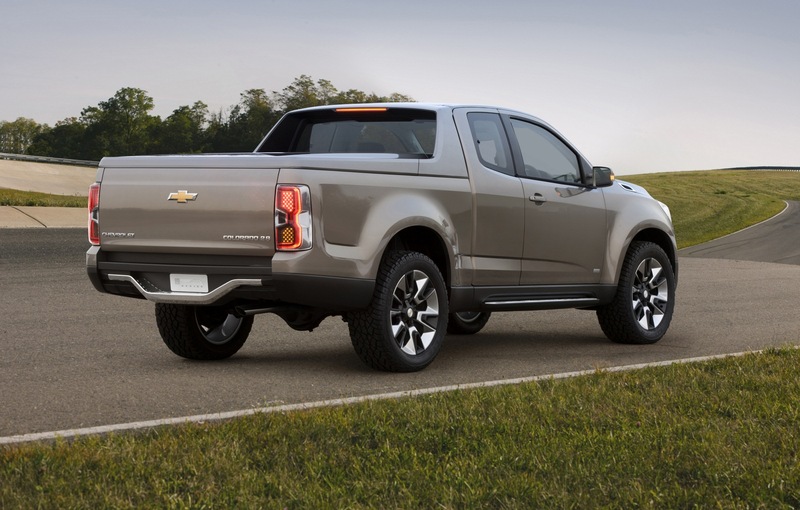 “The Colorado reinforces that heritage with expressive design, refinement and uncompromising capability.” Chevrolet is introducing seven new models in Europe in its centenary year, 2011. 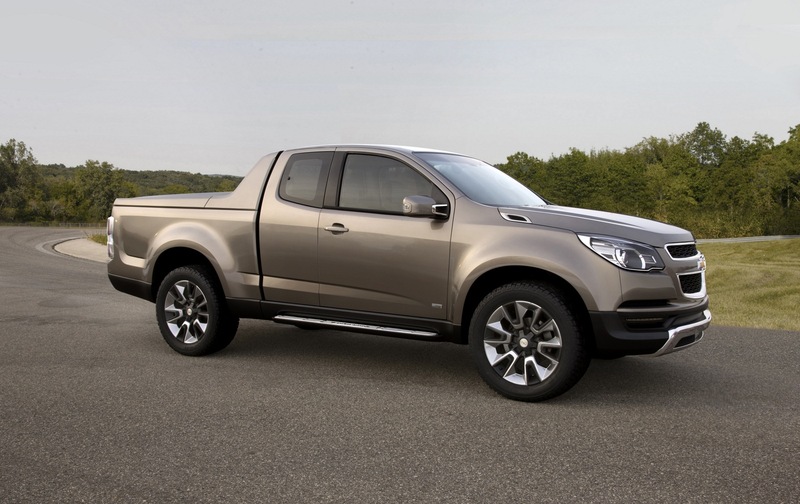 “We are extending our model range entering new segments. 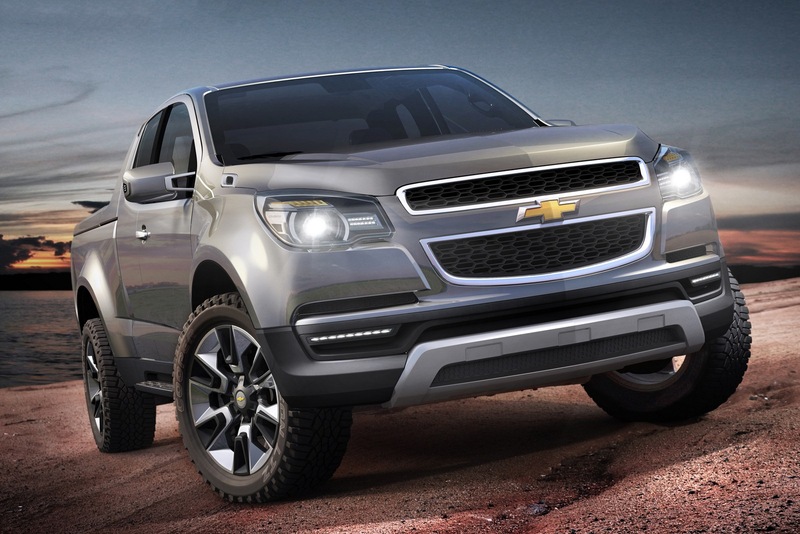 The Colorado could be another exciting opportunity for Chevrolet in Europe,” Brannon said. 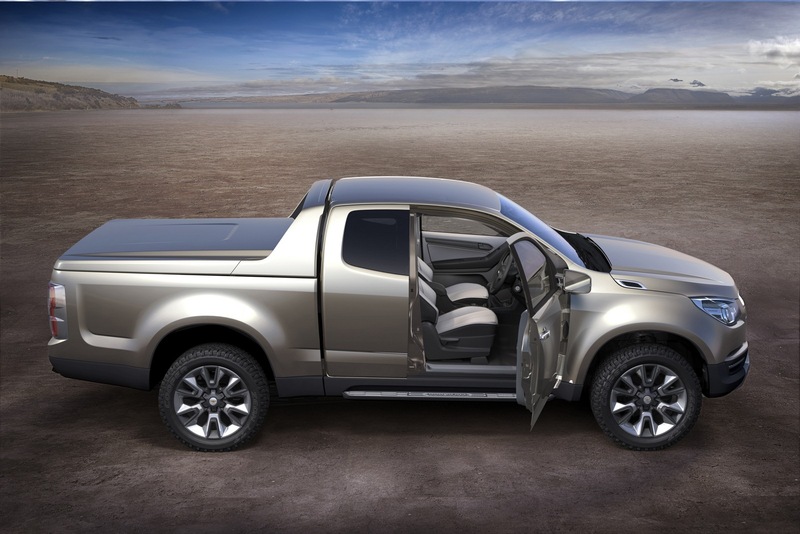 The show truck features an extended-cab body atop a high-stance AWD chassis and rides on large, 20-inch wheels and off-road tires. 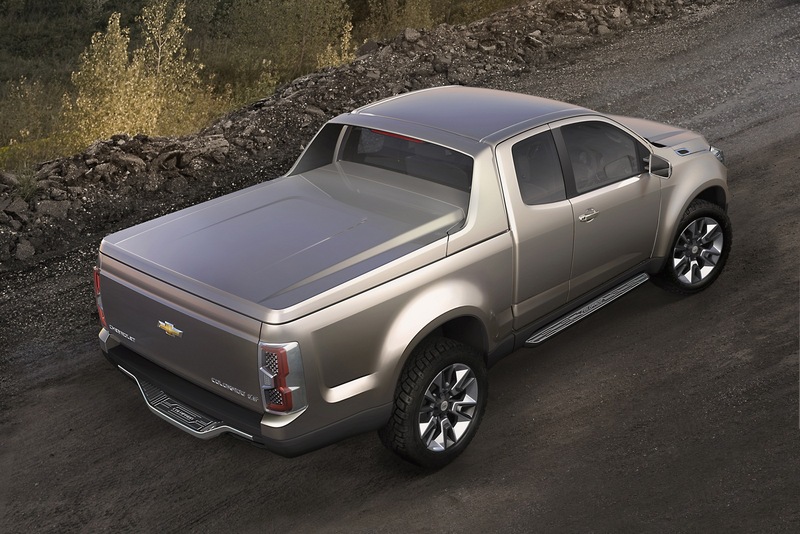 Power comes from an efficient 2.8L turbo-diesel engine, which produces a broad torque band for excellent cargo and towing capability. 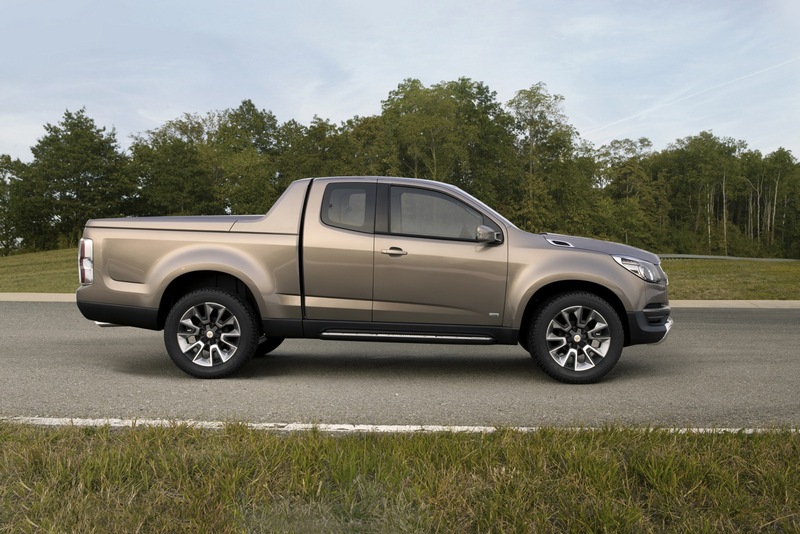 The Colorado show truck’s purposeful design conveys strength through bodywork that appears tightly wrapped over the chassis and a wide, confident stance. 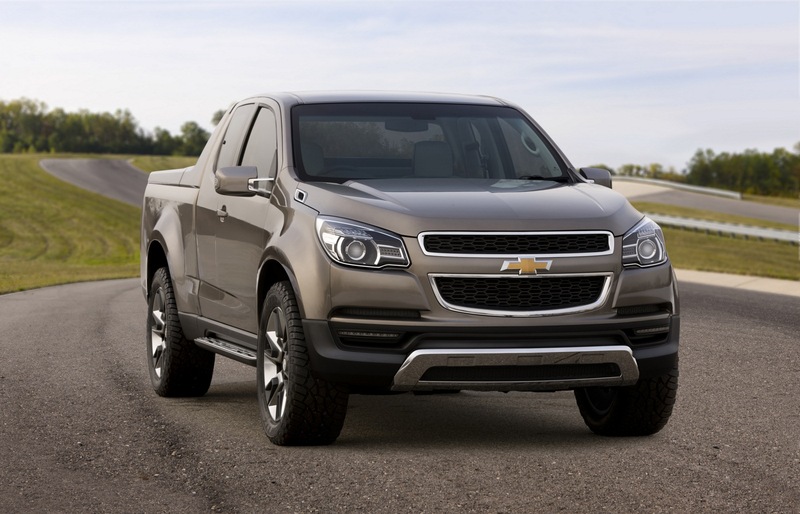 In the front, Chevrolet’s internationally recognized gold bowtie and dual-port grille are framed by large headlamps that flow into the front fenders, and an extractor vent on the hood. Pepperdust Metallic exterior paint is accented with polished aluminum details in the fascias, as well as integrated side steps and black-masked projector-style headlamps with LED lighting elements. At the rear is a full-width LED-lit taillamp, which creates a striking appearance when illuminated. 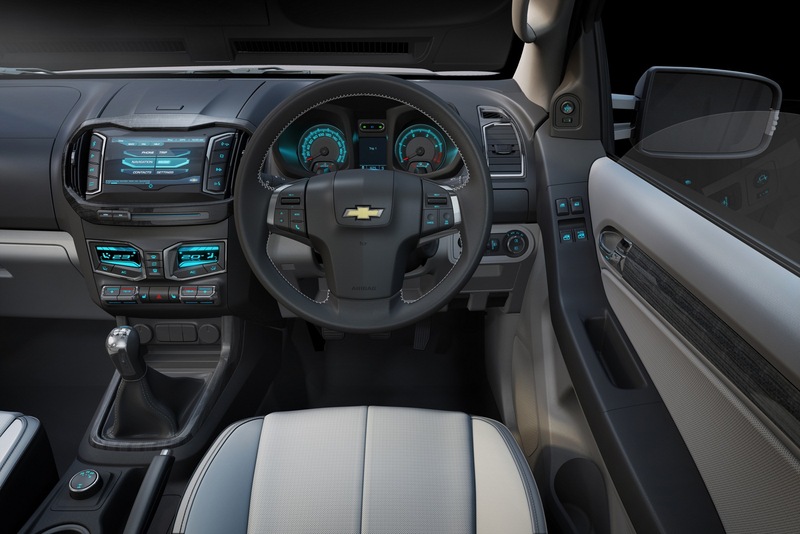 Inside, there’s another signature Chevrolet cue: a dual-cockpit instrument panel design. 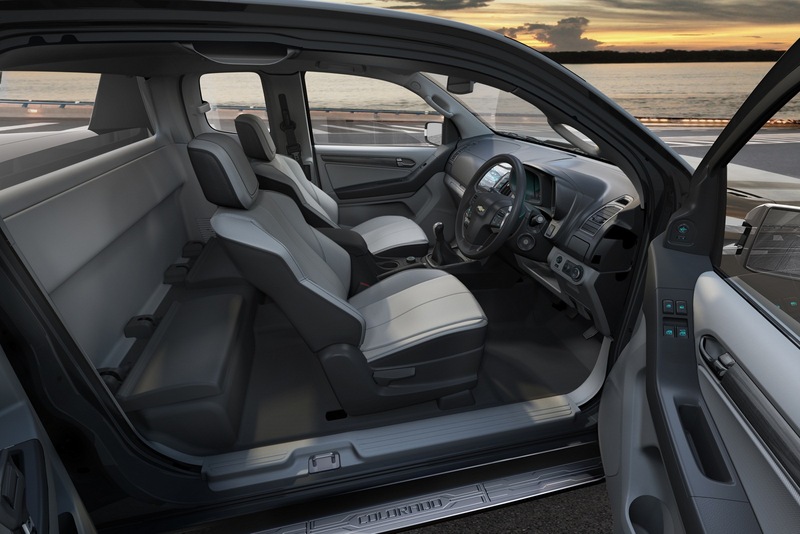 It flows into the doors, with continuous lines that create a floating, wraparound effect, amplifying the Colorado’s feeling of spaciousness. Ice-blue lighting and high-quality, “double-faced” leather-trimmed seats add sophistication and refinement. A brace of motorcycle-inspired, three-dimensional gauges stand out on the instrument panel, projecting a sporty appearance. 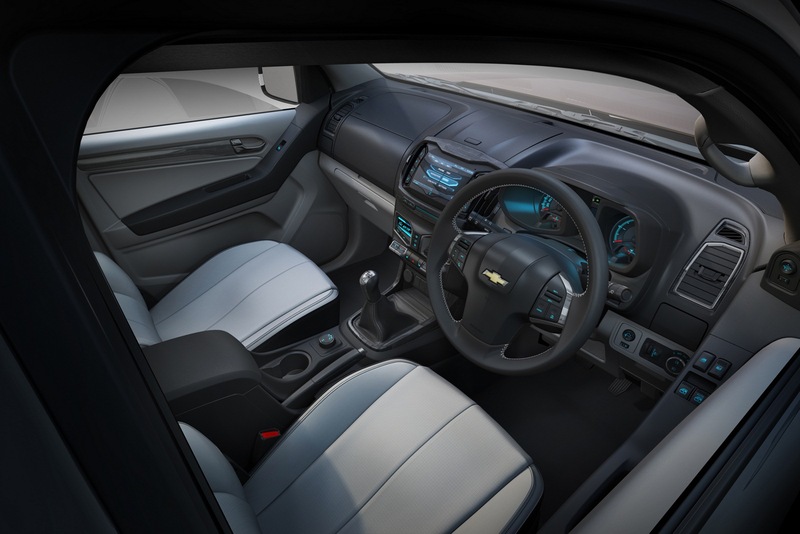 Contrasting trim used with the light-colored leather seating, dark wood trim accented with chrome and low-gloss and soft-touch materials are used throughout for a premium feel. 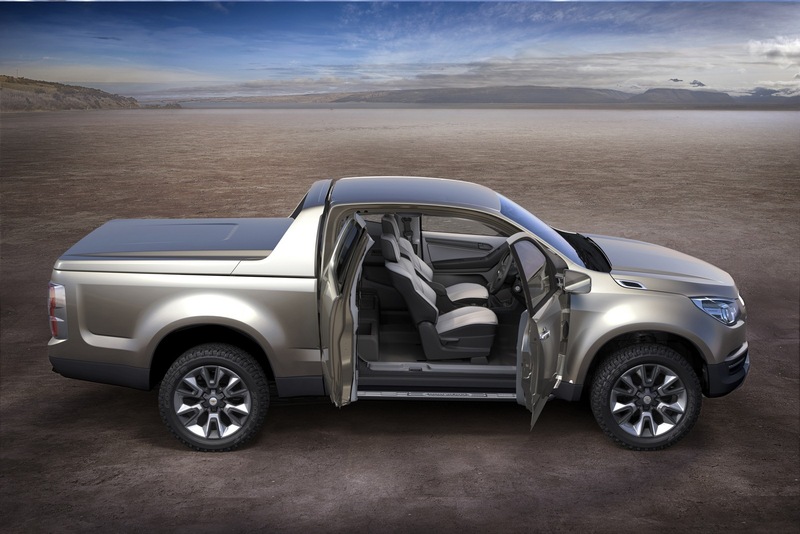 A number of storage compartments are located throughout the interior, including a covered center bin for concealment of valuable items, and a large, dual glovebox. 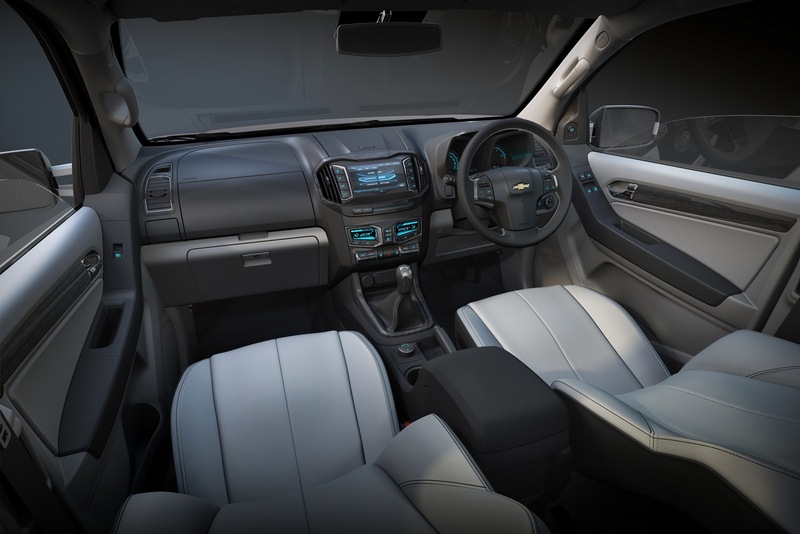 Additional features include a dual-zone, digital climate control system and the latest in “infotainment” technology. 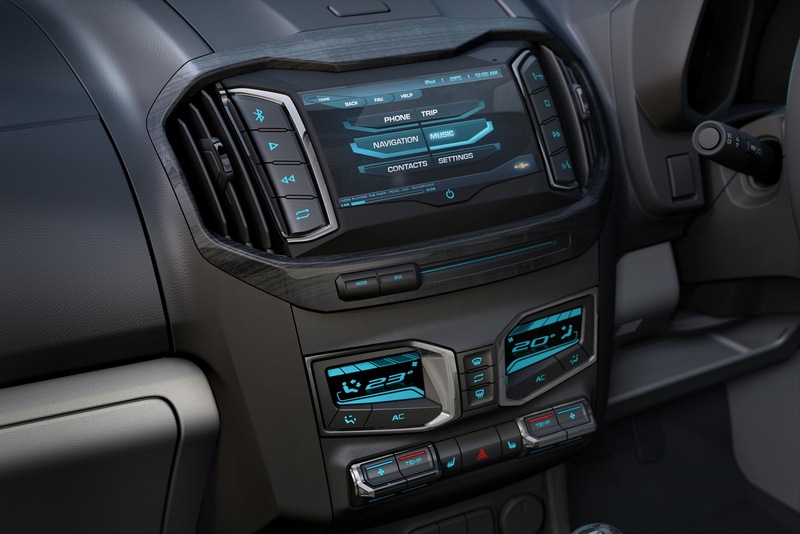 The show truck highlights an ergonomically positioned 7-inch LCD display in the center stack, for easy viewing and intuitive control of Web access, navigation, music and hands-free phone features. 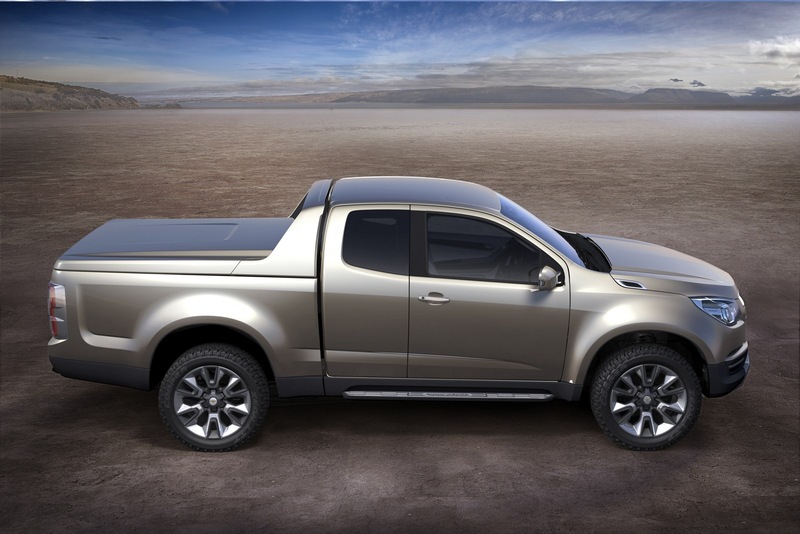 More details about the production model will be released later in the year.